X-News started on October 30 2017, just after Canada Cup 2017. My first goal with such publication was to connect the several small scenes of the game that many times miss each other news and have no clue what’s going on at the other side of the ocean. Still, English publications are not very accessible to the Japanese community but I already heard some players who follow us and praise the effort. A side effect of having this publication is that compilations like this can be done relatively easy. Unfortunately, we know how twitch archive works so many links were broken and had to be fixed, if possible. We strongly encourage all TOs to back up all tournament footage to youtube. Also, don’t start a youtube channel if you are not planning to keep it accessible ‘forever’. The structure of the X-News has been always the same: America, Japan, Europe and Others sections. A bullet list format but with a small summary so you know what the content behind the links is. Player names always in bold. If there are youtube videos that are accessible (instead of twitch or niconico) then the links to the original sources are also posted. We are going to break all these rules in this special post though. Before going with the annual summary I want to specially thank XGamerz and the mysterious owner of the SSF2T channel (we only know he is from Brazil) for their constant work of keeping all the information organized and available for the community. Thanks to the TOs in Japan for allowing us to re-post their content, prioritizing accessibility over copyright. Thanks Kuroppi for making STRevival the home of the X-News. Needless to say, thanks to all the TOs and contributors around the world for sending me information about their events and for posting them mainly on facebook which makes my work less complicated. Also, thanks Papasi, just because. Warning to mobile users: open youtube links below with the browser instead of the youtube app. Otherwise some links with search filters and direct timestamps won’t work. Links marked with [JCC] have James Chen commentary. Mike Watson at Canada Cup 2017 [JCC]. John Choi at EVO 2018. Justin Wong at VSFighting, NWM and Texas Showdown. Alex Valle at Canada Cup 2018, Rewind II and WNF. Daigo Umehara at Canada Cup 2017 and 2018. Nuki at CEO [JCC] and ToL3. Nakano Sagat at Combo Breaker [JCC]. Foosuke at Combo Breaker [JCC]. First visit of Otochun and Aniken outside of Japan (finally!). Making it to several tournaments like Red Bull Tournament [JCC], Canada Cup, Rewind II, CEO [JCC] and FPA tournament. Facing his big rival Damdai at CEO [JCC] and Red Bull Tournament [JCC]. Having a grand final against Otochun at the FPA tournament. That is, the best player in Japan against the best player in the US. Record of participation at Kakerugo (202 players) and Combo Breaker [JCC] (113 players). Viewer records on stream at X-EST 3vs3 in Japan and ToL3 in America. ST was featured on the main stage of events like CEO [JCC], Combo Breaker [JCC], EVO and Canada Cup. Growing communities in Spain, Argentina, Chile and Brazil. Yokohama’s Mat Mouse arcade in Tokyo (staff now works at Bigmouth arcade). Ikebukuro’s Ramble Plaza in Tokyo (Update: apparently Mikado owns the arcade now so it was an owner change only). Amuseum Kusatsu Game Center located between Osaka and Nagoya. Capcom released 30th Anniversary Collection game. 30AE Special Showcase in the UK with Orf vs Kaosflare exhibition. Capcom organized a special 30th Anniversary Tournament [JCC] hosted at CEO with Nuki, Damdai and AfroLegends in the top 3. For a while, some players started having online sessions in their channels like Damdai, LordJimmyBones or NycFurby. Capcom released 30AE Retrospective Series mini-documentaries [JCC]. As it happened with HDR, some players joined the ST community through 30AE like Gerald Lee (from Core-A gaming) who participated at Canada Cup 2018. Twin Galaxies organized The Fight of Legends: Alex Valle vs John Choi ST Exhibition on 30AE [JCC]. Canada Cup 2017 [JCC] – 5 Japanese invites. Red Bull Battle Grounds Event (final) [JCC] – 2 Japanese invites. FPA Spring Series Tournament with qualifiers in New York, LA and Toronto – 4 Japanese invites. Tournament of Legends III – 6 Japanese invites. Tournament of Legends III Qualifiers Playlist with 22 majors: Winter Brawl, Final Round, Fightcade Offline Festival (Spain), NorCal Regionals (twitch) [JCC], Texas Showdown, Toryuken (Canada), Combo Breaker [JCC], Super Arcade (no videos), Northwest Majors (no videos), CEO [JCC], La Qualification (France), VSFighting (UK), Don’s Arcade, 2 Old 2 Furious, EVO, Enter the TOL (France), Monday Night Fightcade (Online) [JCC], SummerJam, The MixUp (France), SCR [JCC], The Fall Classic, East Coast Throwdown + Special Fundraiser. XSB 2017 – 4 Japanese invites. XSB 2018 – 4 Japanese invites. X-Mania Europe 5 – 2 Japanese invites. 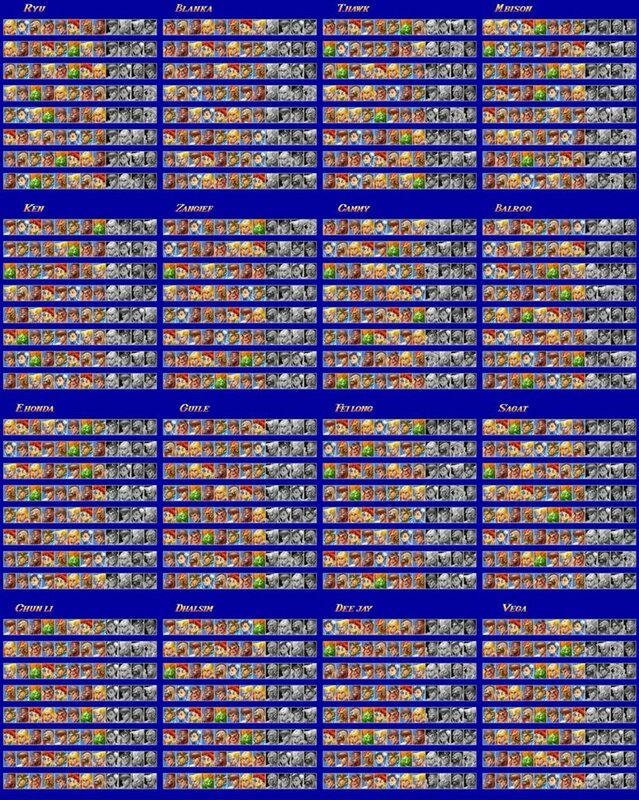 16 DVDs from UFO Arcade 2005 ranking battles. A Kusumondo giveaway – 4 posted, 12 still remaining. Migration of SRK forums to discourse platform (Super Turbo section). Even if they are not active they are good for archive purposes. Several years in the past had plenty of memorable events, like in 2014 when it was the 20th anniversary of the game, but nobody put those facts together and not many people remember the many things that happened. I didn’t want that to happen again. I hope these publications give a better perspective to the pessimists about the many things that are going on with ST which is far from dead, as they say. Our community and numbers can’t be compared to modern e-sport communities but having a smaller community has also advantages. We are strongly bound to the arcade hardware and a generation from the 90s so we don’t know how much longer this will last so let’s enjoy every bit of it in the meantime.